EdTech Help GuidesED206 Powerpoint TCAHow Do I Insert An Audio Clip Into Powerpoint? 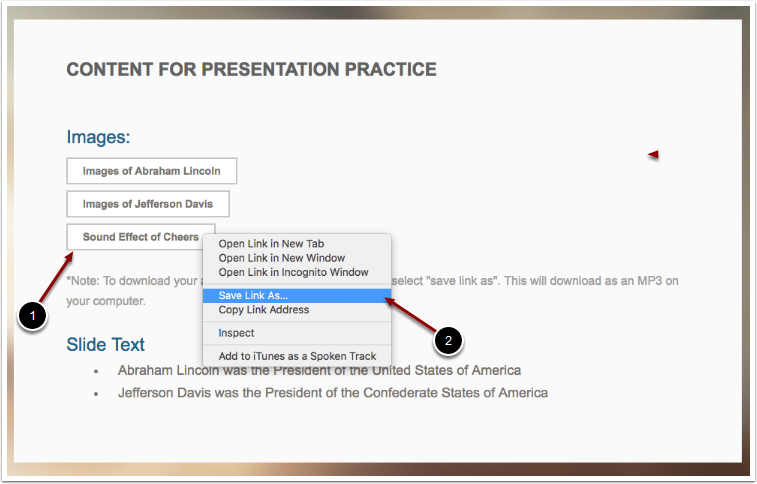 Below are instructions on how to download and insert an audio clip into Powerpoint. 1. Right click with the mouse on the Sound Effect of Cheers button. 1. Select MP3 audio as the format for the Sound Effect of Cheers. 2. 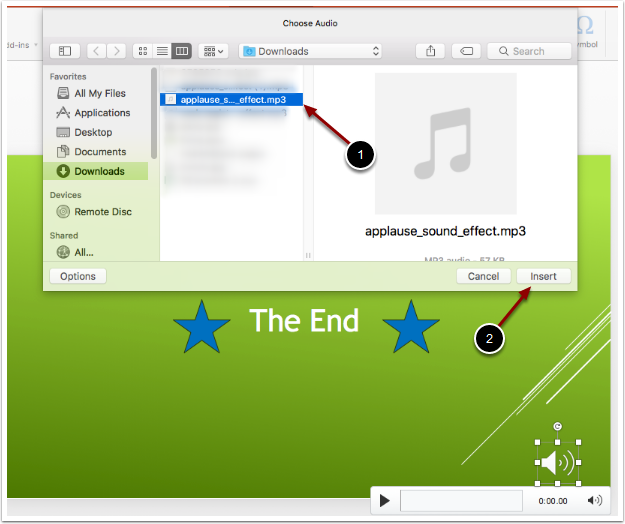 Select the audio icon (as shown above). 1. 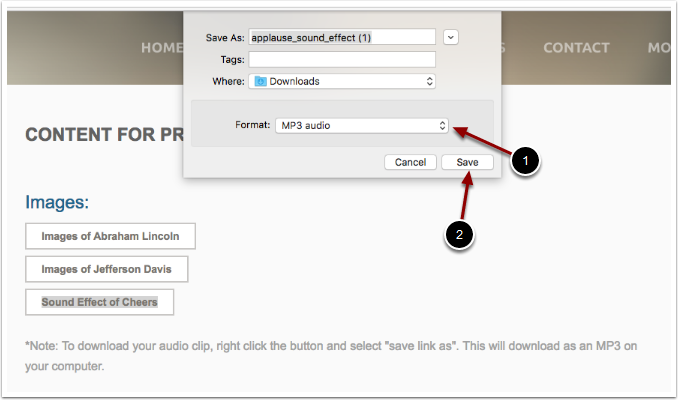 Select the audio clip you want to use. 2. Click the insert button. Prev: How Do I Insert And Edit Shapes In Powerpoint? Next: How Do I Create An Audio Narration Of A Powerpoint?